So the other day Boak & Bailey wrote a thought-provoking article on the signs you might look for to tell if somewhere has a healthy beer culture - apparently where they live in Cornwall now qualifies - and I found myself thinking about where we lived in Germany... I thought about discussing it in a reply, but then after seeing Leigh's response about Leeds realised it merited a post of its own. So here we are! Depends on your definition of "walking distance" - Lüneburg is a medium-small town (~75,000 residents) so nowhere is very far. Maybe 25 minutes walk to somewhere decent? Nope, pretty much city (or even London) prices - maybe €7-8 a litre. The closest would be in Hamburg, about an hour by public transport on a good day. Is that WRPT? Yes, and no, unless you count Hamburg (30 miles away) as local. Not since Carlsberg killed off Kronen. Two brewpubs, and a small brewery in a village not far away. That village one, but it's tiny and has no regular tap. Yes, with a fairly good range of German (only) beer. Hamburg again - and not really regular. Good, though! Oh, and a mock-Bavarian Oktoberfest, but I don't count having a choice of two beers as a festival. Of course, as they note at the end of their article, their list is a bit UK-specific. It did make me think about what I had missed about London while I was in Germany however. Interesting that outside of Hamburg there's not much going on! Well, it's a city, so is probably the place to go for anything unusual. There are other cities with "stuff going on", most notably Berlin of course. Almost everywhere in Germany you have locally produced beers alongside national/regional brands, but as far as I can tell the nationals have a lot of the draught distribution sewn up and a lot of the locals are very local - just one or two bars. Re 8, if someone asked me what they should drink in Lower Saxony I'd tell them Jever. Which is kind of amusing, as it's right up on the coast in East Frisia. I'm pretty sure most people around where we lived would regard that as a different "region". 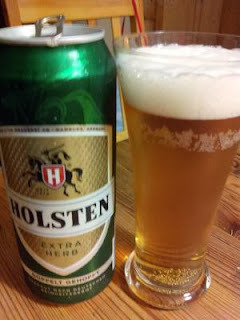 The closest to a true #8 would have been Luneburger Pilsner, but it's just a (northern) Pilsner, not really a speciality - and these days it's made in Hamburg alongside Holsten, Astra, etc. Lower Saxony is a big place - go to the southern end of it and you'll find Einbeck, of Bockbier fame. There are some very good beers around, but mostly from small producers & brewpubs. The former will be mostly off-sales only and the latter tend to be brewpubs without other draught outlets. Yeah, but I don't really like the Einbock beers. Quite fond of Astra, but I gather I should treat that as a guilty pleasure and keep it to myself. LOL! I wondered about mentioning Astra Rotlicht, it is very much a Hamburg beer though. As well as its Bocks, Einbecker also does a decent Dunkel and a Pils which I've not tried.